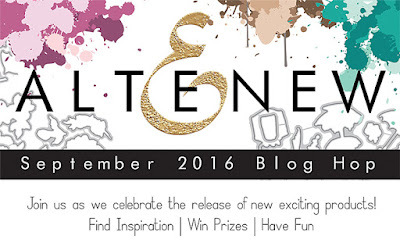 I am absolutely delighted to be part of the Altenew September Release Blog Hop. As you may know already, Altenew is always on trend and the designs are refined and stylish. This release is no different. 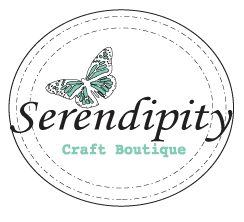 They are releasing 15 dies, 12 new inks and 36-re-inkers, two glitter tape today! I have the pleasure of playing with Bamboo Rose Stamp and Coordinating Die. Normally, I do a lot of fussy cutting and don't mind doing it. But then....wow...you can just tell (from the following photos) how awesome it is to have the matching stamps and dies. I made an You Tube video for this release and you can see the merits of having stamp and die combo. You can watch it here. I am doing a personal GIVEAWAY for my You Tube Subscribers (details here). It will be awesome if you become my subscribers if you have not signed up yet. Hopefully when you watch it, you will able to see how the stamps and die combo set can work SEAMLESSLY together. My first card prompted me to create this video. It's my "test" card. I made the following card for the video. 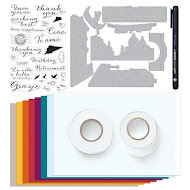 Anyone can create a card like this as long as you have the right tools and supplies! If you like Clean and Simple, the next card took me just about 15 minutes to create. There are just 3 steps involved: stamp the background, create a DIY butterfly chipboard with the matching dies and embellish with glitter paper and Liquid Pearl. Done. PRIZES: To celebrate this release, Altenew is giving away a $50 gift certificate to THREE lucky winners! Please leave a comment on the Altenew blog by Saturday, September 24, 11:59 pm EST for a chance to win. 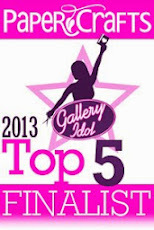 The winners will be announced on Sunday, September 25 on the Altenew blog. AND that's not all, I will draw a winner to receive a $30 gift certificate to Altenew online store. All you need to do is leave a comment in this blog post by Sept. 22, 11:59pm EST. I will announce the lucky winner on Sept 23rd in this blog. 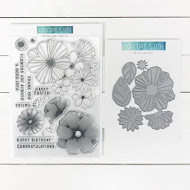 Your next hop is one of my very favorite stampers--Therese Calvird! 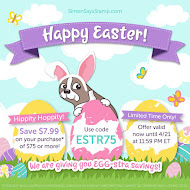 Enjoy the fun hop! I know you will be inspired and amazed. Lastly, I want to point out that Altenew has a SSS STAMPtember Exclusive. Check out this "Be Leaf Me" ($15.99). LOVE. I want to thank Altenew for inviting me and thank you for stopping by! Painted Rose is one of my favorite Altenew stamps. I love how you used it! You've chosen some beautiful colours for your cards, Virginia! What a beautiful set Virginia! Beautiful Altenew cards!! Lovely colors and design.... and the perfect bit of sparkle! Your cards are beautiful, Virginia! Love them! I can't decide which one I love the most! Love seeing the stamps and dies together and details on making them too! That Bamboo Roses set is arriving in the mail today! Thank you for the inspiration to start using it with the Shadow set:)) They are lovely together!! I'm so excited to get the Remember This dies! Beautiul card and seamless technique is great! Great stamp set. Your cards are beautiful. Beautiful cards and you used the stamp images wonderfully for your card designs. This card video has given me so many ideas. It's beautiful. Beautiful cards with lovely colors! Beautiful cards! Love what you have done with these new co-ordinating dies! The new Be leaf me set is fabulous too! I think your cards are beautiful, and I enjoyed your video, especially how you did the splatter. I've tried it before but wasn't happy with my results. I'll be giving it another try using your technique. Thanks for sharing your creativity. Your cards are so fresh and "spring like". I love spring all year and these new colors can give me just that!! I love them! Beautiful Virginia! Your creations are sooo pretty !! love them :) thanks for sharing the details of how to make them, very useful for a newbie like me !! - Preeti D.
I really like your three beautiful cards! and that sentiment, "you are the bestest" is terrific. Thanks for the simple design and inspiration of your third card, too. I just love your beautiful cards Virginia. Beautiful cards. Love that stamp set. These cards are just so lovely. The way you use ink on these cards make them so soft and interesting to look at. I would love to find any of these cards in my mailbox. Please continue to make your videos, they are very helpful. Beautiful! Love your style with the flowers and background. Thanks for sharing on the blog hop!! Beautiful Card, thank you for the tuition. Your bamboo roses card is gorgeous! I love how you used the dies to seemlessly piece the two flowers together!!! Awesome. I got caught up watching your other videos and of course had to subscribe! I also use my Misti to watercolor stamps- I hadn't seen anyone else do that before! Beautiful and I love the watercolor effect! Great job!! I love your "awesome" card! And thanks for mentioning Altenew's "Be Leaf Me" at Simon Says. Very cool! Virginia.... you just made me want that Bamboo Rose set. Your card creations using it are gorgeous and now the set is on my wish list! Wonderful cards! I have found your YouTube channel and love seeing your other wonderful creations! Love your work! Recently found your YT channel and love seeing all the fun inspiration! 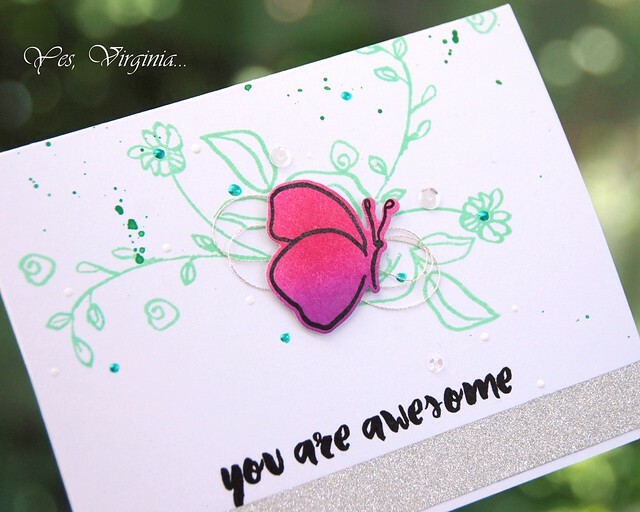 Your cards are stunning Virginia, love the CAS design and the splattered effect with the ink! While I like all three cards, I think I like your test card the best. Thanks so much for the video! Both of your cards are gorgeous and I loved your tutorial, I just subscribed to your you tube channel so I can see more of your tutorials. Virginia, you always make your beautiful cards look so easy to create! Love this new release. Virginia, gorgeous card! I don't usually order the matching die sets either, but now that I see how well they work for you I think I will! LOVE the bamboo rose stamp set. It has been on my wish list. Thanks for sharing your expertise! We love your cards! Hi! Loved stopping by to see your lovely cards. Beautiful ! 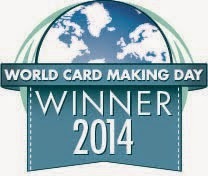 Your cards are awesome! I've been eyeing those stamps for awhile, now I'm even more tempted to get them! Gorgeous cards, Virginia! They are so elegant, yet you make it look so easy! Thanks so much for another wonderful video tutorial...I always enjoy them! And, thanks for a chance to win!!! Such pretty cards! The colors are so pleasant. Very pretty! Loved watching your process video. Wow, love all of your cards. You are so talented. I like the stamp set you used. Lovely cards, thanks for sharing them! I like the colors on your pretty cards. Beautiful card and I love the color layering you achieved using the misti tool! Thank you for sharing along in the hop! Always beautiful cards from you virginia. I especially love the first 2 with the flowers! I have become a youtube subscriber! Your cards are beautiful! I love the stamps and it is so much easier to have the matching dies. Just love how you nested those two roses together...looks layered but there is not bulk. Your color schemes are always so ethereal and lovely and these cards are no exception. Truly beautiful. Beautiful cards and wonderful video, Virginia! Fabulous designs. Love the colors and how you grouped the flowers. your card is so, so pretty! Thank you so much for always sharing your beautiful cards on Stamp Junkies! We love them! They are so pretty cards. Love the colors you chose to work with. These cards are fantastic Virginia! Love your style. Great job with this release, love your bold colors! Between Penny Black and Altenew I simply swoon. You continue to amaze me Virginia. These two cards are outstanding. The colors, your sense of style.....simply magnificent!!! Lovely cards. Love the colors. And that butterfly image is CALLING my name. P. S. A truly excellent video Virginia. You give me so much hope. I appreciate everything you do. What kind of glue did you use to attach the sequins? It appears to be a pen. Thank you. 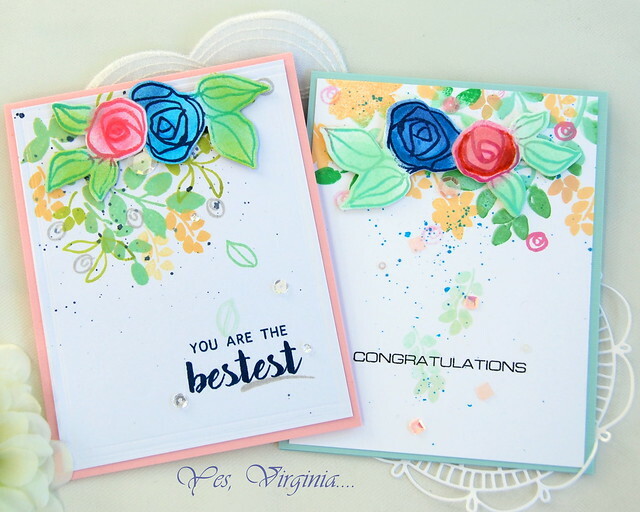 Just love your bamboo rose cards, Virginia! Thanks for the fun video too! Love your cards. Great depth with all the stamp layering! FAbulous video too. Beautiful cards and coloring. Love your card designs and video! 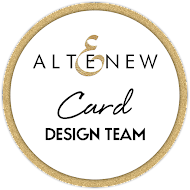 What lovely cards with wonderful Altenew products! Beautiful cards! Thanks for sharing them with us. Gorgeous cards, Virginia. I love the colours you've put together. Swooning over your bamboo rose cards, Virginia! So pretty! Your video: awesome! 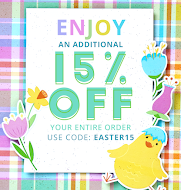 Love your mix of colors, they make for such happy cards! Gorgeous cards! Stamps and dies is definitely the way to go! Very pretty card. I really liked how u seamlessly combined the two images. Very clever. I can't wait to try it. Thanks for sharing. Beautiful cards and fabulous video Virginia! So pretty. Love your Painted Roses and each of your cards. 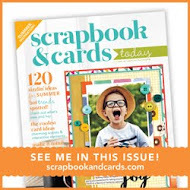 Love your beautiful card set! The Bamboo Rose is gorgeous! Love both of your cards, Virginia! Thanks for another great video, too. Beautiful cards. The colors you chose are perfect. Love the bamboo rose set! Beautiful cards! I love having matching dies because fussy cutting is not my forte! love what you've been doing with that stamp set! Beautiful inspiration Virginia! Just got the Bamboo Rose set so I'm very excited that dies are now available. Thanks for a great video! Love all the cards and colors you used too! Just got my first Altenew stamp & die set & sure would like to get some more! 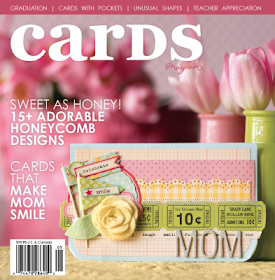 Love your style, Virginia--beautiful cards! I debated forever about what set to get & didn't end up with the Bamboo Rose, but it's on my wishlist! Love the colours you've used for your cards! The bamboo rose is one of my fave Altenew stamps. Thanks for the great inspiration. Beautiful colors on these cards. Love the cards! Thanks for the chance to win. Thanks for your beautiful inspiration for my own creation! 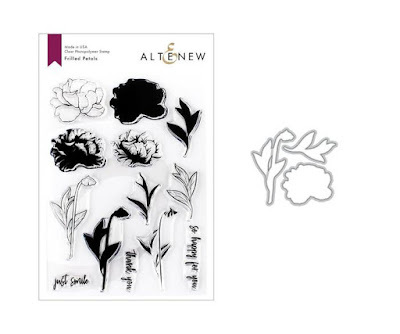 i love this stamp set from Altenew! I love this stamp set. Your cards are beautiful. Thanks so much for the video.By lifting the die cut roses and leaves,it adds a touch of elegance. 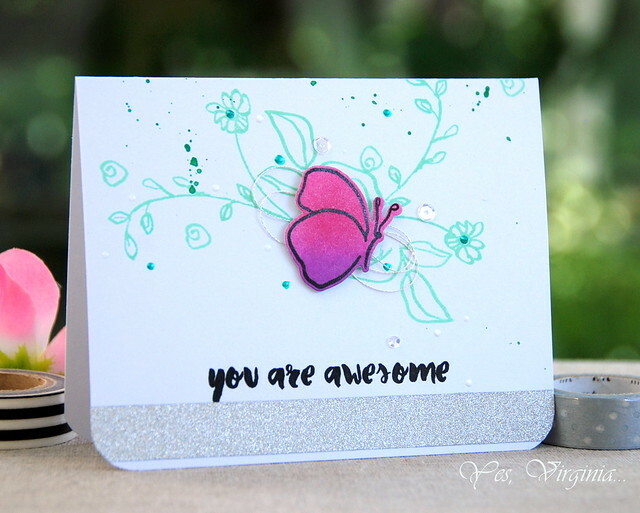 I love the softness of your butterfly card and all the pretty green splatters. I look forward to your videos and hearing your sweet voice. Just lovely. I want to try this! Whoever invented dies was a lifesaver. a die is so nice. I follow you u-tube channel. .....your cards are amazing. Love the colors and how you have used the 'space.' Just perfect. Thanks for a great video. Love the layered look with the floral images. Gorgeous cards! Love the layers and bold colors! You made it look so easy! So excited to try it myself! Thanks for this! I love the colors that you picked for these cards! All of these cards are beautiful Virginia, from your test card right on down the line. LOL Just beautiful! Your cards are lovely. It was so cool how you cut the blue flower so it fit with the pink flower. I will def have to give that a try! Lovely cards Virginia, you've done a beautiful job!! 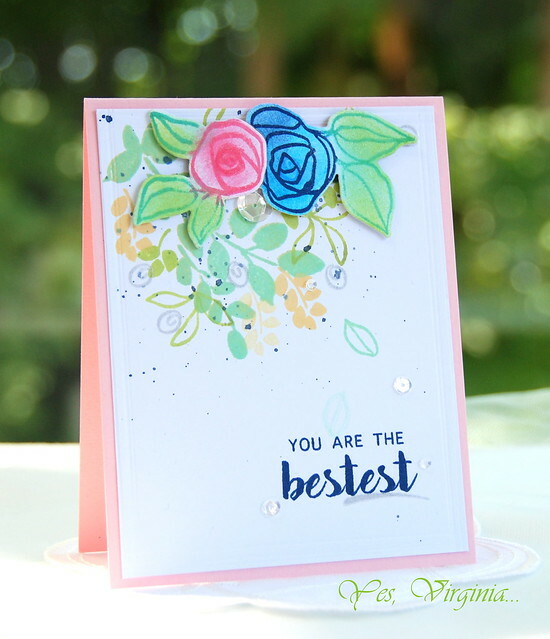 Beautiful cards, love this Bamboo Rose stamp and die combo set! Beautiful cards--I love watching you create! So pretty! I'm glad I found your blog and YouTube Channel. 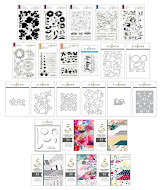 Gorgeous cards Virginia...I'm a big fan of Altenew...amazing products. Wow! Absolutely stunning cards! Beautiful watercolour effects. Beautiful cards! Love the idea of cutting away into another to form one combined shape. Thanks for sharing. Fantastic cards. 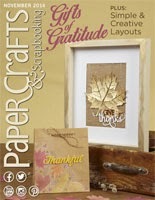 Thank you for the video on how you had the seamless join between the diecuts. Thank you, Virginia for your great designs. You make it seem so easy. Great cards and instructions how to use. Gorgeous cards Virginia ! Beautiful use of the new Altenew stamp set ! And yes, the matching dies make the difference ! Thanks for sharing. Love your cards! The video was awesome. 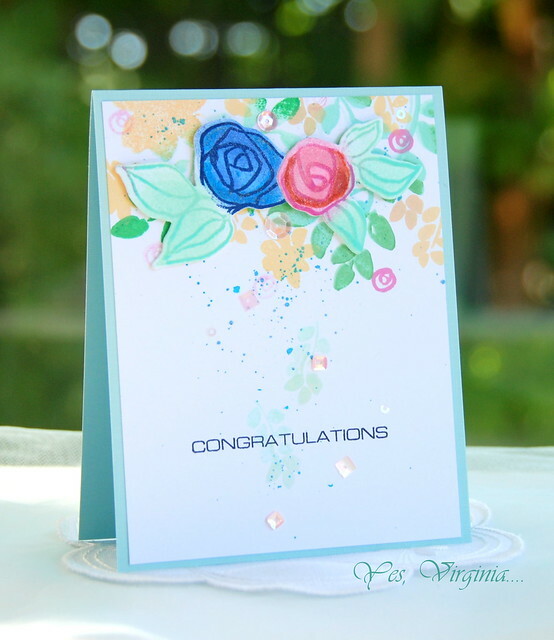 wonderful inpiration Virginia - love how you used the soft colors with the bamboo roses! Beautiful cards! Thanks so much for the fabulous video so I could watch you work. Amazing! 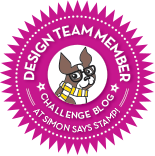 So happy to see you designing with these gorgeous stamps. Great job! And those splatters!!! Be still my heart. Beautiful cards & love the new colors! Beautiful cards, awesome video. Thank you for inspiring me always. 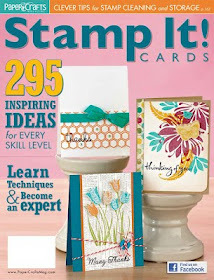 Clever designs - elegant use of the stamps and dies! Beautiful cards, Virginia! I love the Bamboo Rose stamp set! Lovely colors and details on your floral cards! The butterfly card is gorgeous too! Gorgeous cards Virginia! I love the new Bamboo Rose stamp set. Thanks for the inspiration! Beautiful card. The Misti system makes it so easy to stamp. 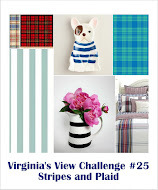 How fun to be a part of this blog hop, Virginia! And a beautiful set of cards! Each of your cards is so delicate and pretty! Just goes to show what you can do with a great Stamp set and your wonderful creativity! Lovely cards - great instructional video. Thanks for sharing! Beautiful simple cards love that. Beautiful cards today, Virginia. 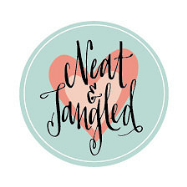 So many new products being released, so many blog hops to go along with them, it is actually kind of overwhelming! I am just trying to keep up and not miss anything. Your cards are lovely, Virginia. I particularly love the way you do your backgrounds- so light and fresh. Beautiful stamps. Dies really are easier an fussy cutting for me. I like your die cutting technique, Virginia. The card is lovely. What a lovely stamp set! Thanks for the great video! Your cards are beautiful Virginia! Thanks for the inspiration and for the opportunity to win! Love love love this new bamboo rose set! Thanks for the inspiration! I love the simplicity of your cards!! as always, loving your work! I love what you've done with the Rose Bamboo set.....also so pleased there is a co-ordinating die set now! I love there beautiful cards! Lovely cards, Virginia! I don't mind fussy cutting - but it's wonderful when you have matching dies. Lovely cards, Virginia. Love the dimension that the die cuts add. I make it a point to buy the Altenew stamps with matching dies. I think they are much more versatile as a set! You have a wonderful sense of design as shown on the two cards posted. I love the Altenew stamps/dies as I know you do too! Ooohhh hope I'm in time for the blog hop lol. Different time zones are hard to keep up with. Think these cards are doable for me as a newbie. Easy straight to the point tutorial on you tube. Brilliant. Thankyou. Your cards are so pretty!! I think the third one with the butterfly is my favorite!! It's so cute! Great job! Gorgeous cards! Love the composition and the layered stamping! 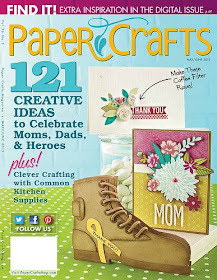 BEAUTIFUL - I love the layered flower stamps. Absolutely beautiful cards, Virginia! I love layering stamps & these are exceptional. The quick butterfly card is a perfect card. I love everything about it!! Your cards are the BESTEST!!! LOVE your pretty colours and designs!!! These are gorgeous! I love the sparkling colors!! Love the die cuts over the beautiful stamping. Well done. Love the trailing leaves and ink splatters on these gorgeous cards... and that brilliant butterfly!!! of embellishing is so amazing! I like the color combo on your cards. Very creative header to your blog too! Ohhhh, these are all so very pretty! Thanks for sharing! The watercolored flowers are so so pretty. I love the bold lines. Thanks for your video . L love all these cards. Very pretty. I love the flower stamps and I love all of your cards. Everything is so colorful and pretty. I would love to have those stamps! I love your cards and thanks for showing how you make it all happen! So pretty...light and airy. Thanks for the video...I need all the help I can get! Absolutely wonderful Virginia, love these beautiful colours together, they really make the flowers shine! Virginia's Die Hard Series-Take 3! A SWEET Christmas Card & a Gift Card GIVEAWAY! Going For... Bold and Beautiful! Virginia's View Challenge #23 ( A video)! Flower Card with Paint and Ink Splatter!